Does your SBA Communications cell tower lease need to be renewed, extended, amended or renegotiated? Has SBA contacted you to extend their lease agreement or perhaps did SBA offer you a perpetual lease buyout or to purchase your rental stream or cell tower easement? 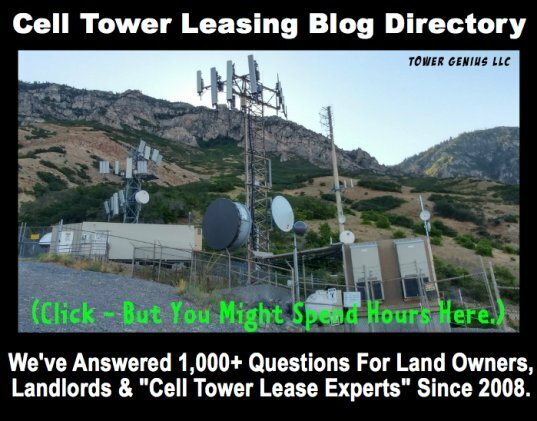 Maybe you are wondering why you are getting bombarded with calls about selling your tower lease? Are you wondering what your SBA cell site is worth? 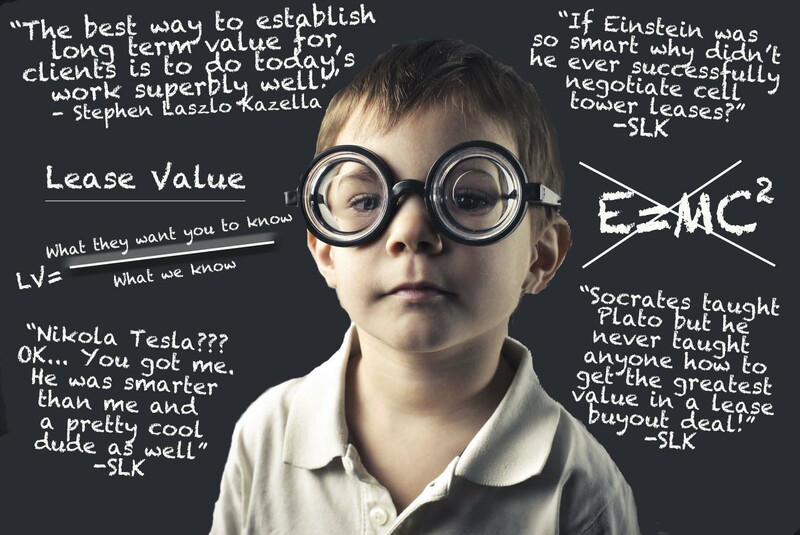 Are you getting fair market value? Thank you for visiting our site. We are an independent consulting firm that has helped countless cell tower landlords with their SBA lease proposals all over the United States. 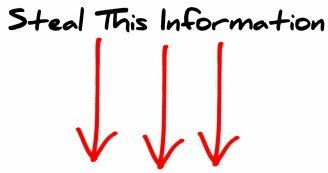 Questions About Your SBA Cell Tower Location? • What Happens If You Sell Your SBA Cell Tower Rental Stream? • What Is Your SBA Cell Tower Location Worth? 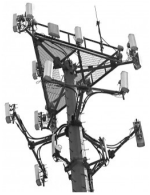 • If Advances in Wireless Technology Increase The Risk of Your SBA Cell Phone Tower Location Becoming Obsolete, Then Why Do So Many Companies Want to Purchase It? • What About Their Right of First Refusal (R-O-F-R)? Contacted by an SBA Cell Tower Lease Representative? Property Owners... If you've been contacted by an SBA cell tower representative, make sure that you do not sign any terms sheets or letters of intent, proposals or anything without having a wireless leasing professional (namely us) take a look at it first. Let us be very blunt. SBA is a top notch company, run by some of the smartest people in the wireless industry who have been around cell towers since the Stone Age of wireless. (Kind of like us.) Out of the Big-3 Tower Management Companies, they are the most difficult to deal with, and they are the most unpleasant to negotiate with and have the slowest turn around -- especially if you have more than five years remaining on until lease expiration and they have no pending co-locators waiting to lease tower space. With that said, they are very profitable, Wall Street likes them and they have top professionals working for them to provide them and their shareholders with the best deal. Don't expect them to share their knowledge with you. SBA does not view you the landlord as a partner in their business model. In their mindset, from our dealings with them, you are just a landlord who should be kissing the ground they walk on. Nice attitude, right? You should make sure that you are able to get on a level playing field with them. You can contact Tower Genius about your SBA Communications cell tower lease call us on our SBA Landlord Hotline at 888-313-9750. Have A Question About An SBA Celll Tower? Do you have a questions about an SBA Communications cell tower proposal or SBA cell tower lease? Ask us on our SBA cell tower Q&A blog. Your questions will appear on a Web page exactly the way you enter it here. Do you have some pictures of your SBA cell tower to add? Great! Click the button and find the first one on your computer. Select it and click on the button to choose it. What is the value of this land with SBA lease? Is the SBA buy out offer good. Selling SBA Cell Tower Lease With land. 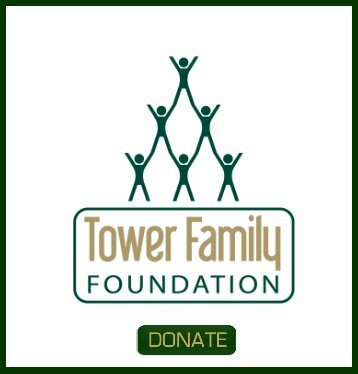 Tower Genius is Not affiliated with SBA Communications and is neither an agent, sub-agent, re-seller, contractor or sub-contractor for SBA Communications or any other wireless company. We are an independent wireless telecommunications consulting firm that provides property owners with technical guidance, wireless lease review and negotiation services. If you need to contact SBA directly about your SBA lease, please contact their website.